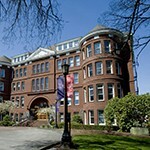 University of Portland president Rev. Mark L. Poorman, C.S.C., has announced the appointments of Rev. Gerard Olinger, C.S.C., as vice president for University relations, and of Rev. John Donato, C.S.C., as vice president for student affairs. Both appointments become effective January 1, 2016. Fr. Olinger will assume the position currently held by Laurie Kelley, who has accepted the position of president and chief development officer for the Providence Foundations throughout the Oregon region. Kelley has worked at the University since 2006, serving first as the director of marketing and communications prior to her current role as vice president for University relations. Since his arrival on The Bluff in 2009, Fr. Olinger has served the University in many capacities. For the past four years, as vice president for student affairs, he has overseen the Offices of Residence Life, Public Safety, Student Activities, Campus Ministry, and International Student Services, as well as the Career Center, Health Center, and Moreau Center. He also serves as a pastoral resident in Schoenfeldt Hall and is one of the instructors of “The Character Project” theology course. Fr. 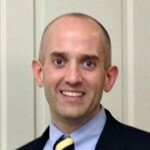 Donato has served as the associate vice president for student development since 2007. In that role, he has direct responsibility for the Offices of International Student Services, Residence Life, Student Activities, and the Moreau Center. Fr. Donato also serves as the deputy Title IX coordinator for students, co-chair of the Early Alert Program, pastoral resident in Fields Hall, and religious superior for the Holy Cross community at the University of Portland. For more information contact the president’s office at 7101 or simek@up.edu. Filed Under: 11-16-2015, University Relations Tagged With: Laurie Kelley, Rev. Gerard Olinger C.S.C., Rev. John Donato C.S.C., Rev. Mark L. Poorman C.S.C. The University has announced the appointment of 1997 alumna Margaret Trout as director of the Health Center, according to Rev. Gerard Olinger, C.S.C., vice president for student affairs. Trout comes to The Bluff from Willamette University, where she served as director of the Bishop Wellness Center for the past 10 years. She was peer-nominated and awarded Willamette University’s Administrator of the Year in 2013. 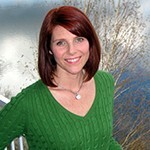 Prior to her time at Willamette, Trout worked as a nurse manager and assistant director at the Center for Student Health and Counseling at Portland State University for five years. Trout graduated from the University of Portland with a nursing degree and holds an MBA from Willamette University. She has been active with Oregon College Health Association for the last 15 years and is a past co-chair of the Oregon Attorney General’s Sexual Assault Task Force, Campus Committee. An avid cyclist, Trout is a member of Women on Wheels, a local group that seeks to empower women to travel by bicycle and other alternative modes of transportation. For more information, contact Fr. Olinger’s office at 8532 or nielsenk@up.edu. The 2014-2015 Student Affairs Annual Report is available at this link, according to Rev. Gerard Olinger, C.S.C., vice president for student affairs. The report highlights accomplishments of student affairs for the past year as well as progress on departmental goals. For more information contact student affairs at 8532 or nielsenk@up.edu. Fr. 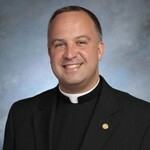 Mark Poorman, C.S.C., Fr. 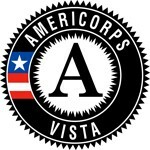 Gerry Olinger, C.S.C., and Tom Greene have collaborated to sponsor a one-year AmeriCorps VISTA member who will work full-time on developing programming specific to first-generation students at the Univer­sity of Portland, according to Michele Leasor, honors program and fellowships and grants. Faculty and staff are asked to assist in recruiting for this position by sharing the job posting with qualified individuals (http://tinyurl.com/cjdbjsp). For more information contact Leasor at 7857 or leasor@up.edu. The student affairs division has announced the appointment of Christopher Haug as director of residence life, according to Rev. Gerald Olinger, C.S.C., vice president for student affairs. Haug most recently served as assistant director of residence life at the University of Notre Dame, where he co-chaired STAR-ND, the student affairs professional development committee, and served as the state coordinator for the Association of Student Conduct Administration (ASCA). He will begin his new duties on June 3. For more information contact Fr. Olinger at 8532 or olinger@up.edu.